The hike takes you from the seasonally crowded Tuolumne Meadows, along the Tuolumne River, to the beautiful and impressive Glen Aulin Falls. Walk a little further to the High Sierra Camp, with the option to continue to some additional falls (California, LeConte, Waterwheel) and views of the grand canyon of Yosemite. The trails are well marked and often quite wide, so route finding only becomes (somewhat but not really) tricky at water crossings. You have the option of starting this hike from several trailheads, but we began at Soda Springs. We hiked early in the season in a low snowpack year, before the high elevation campgrounds were open, so we had options. During busier times, you might have to make do based on where you can find parking. You begin by walking across Tuolumne Meadows and soon join up with the river. From that point, the trail generally keeps you within at least earshot of the river, while meandering through wooded areas, meadows, and granite expanses (which are marked by cairns and reflectors in trees). There were several unbridged water crossings within the first couple miles of the hike, which we were able to manage quite easily, though I imagine at different points in the season and rain/snowfall levels, this will vary. The trail loses elevation gradually, most of the 600 feet of loss occurs alongside the falls and if you are worried about that, you can turn around before reaching the turnaround point at the camp. However, the trail was never steep in my opinion. I would suggest bringing bug spray as the mosquitoes are mighty and many, and make sure you have sunscreen because walking through meadows and across granite leaves you exposed to the bright California sun. From the East Entrance/Tioga Pass: Enter park on Tioga road and follow it for 8 miles west. Soda Springs Trailhead will be on the right, parking available off the side of the road. From Yosemite Valley: Take CA-120 west until Crane Flat. 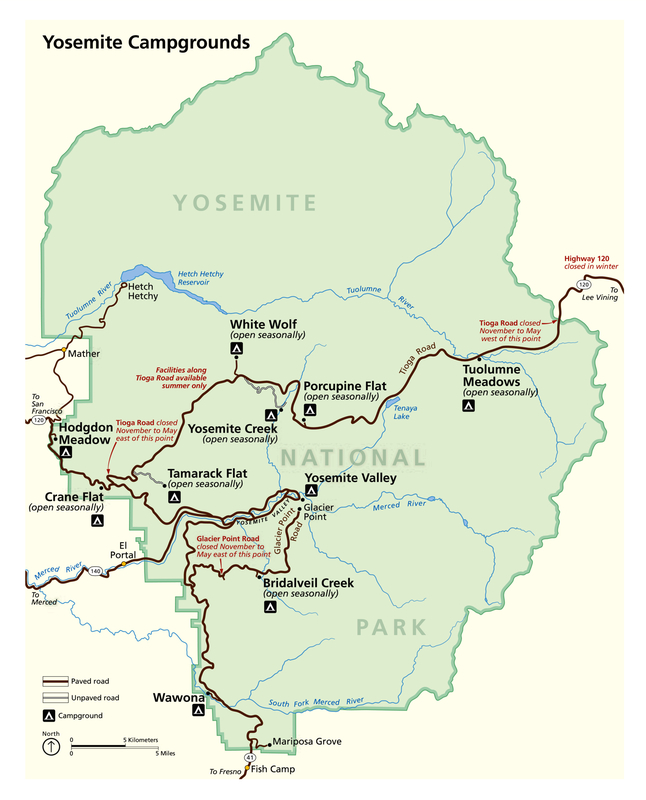 Turn right onto Tioga Road and follow for 38 miles to Tuolumne Meadows. Soda Springs Trailhead will be on the left, parking available off the side of the road. From CA-120 East: Enter the park on CA-120 and head east until Crane Flat. Turn left onto Tioga Road. 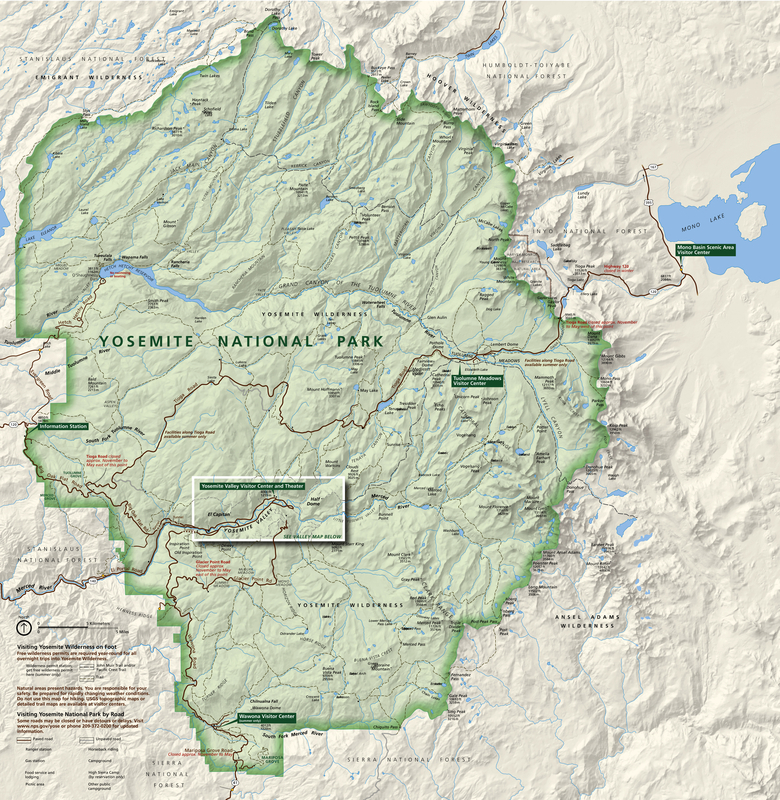 Follow for 38 miles until you reach Tuolumne Meadows. Soda Springs Trailhead will be on the left, parking available off the side of the road.